Leadership of Meadow Lakes Restaurant is about to change hands, and people can soon expect an expanded menu, new hours and a new name. 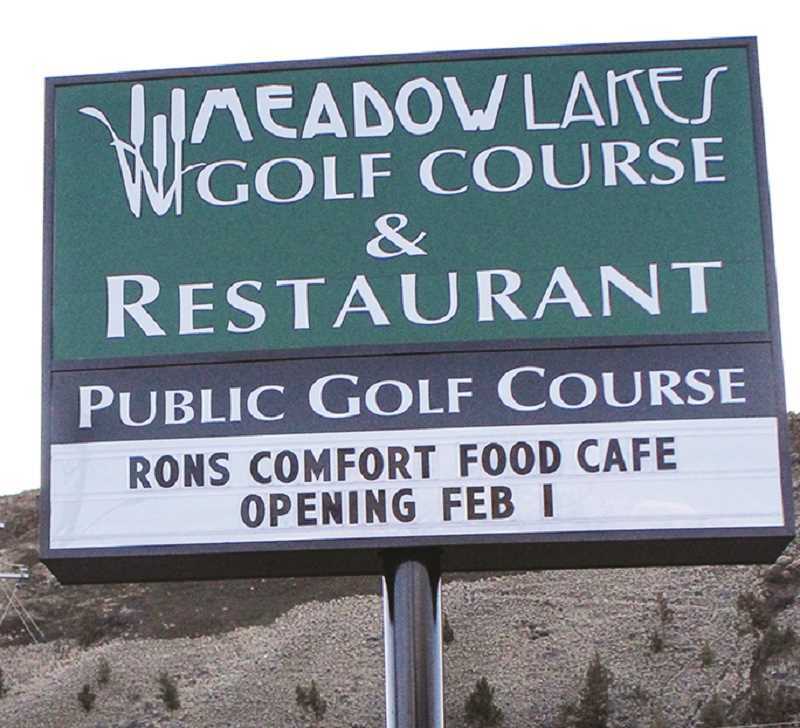 Prineville resident Ron Allen has reached an agreement with City of Prineville to lease the restaurant and take over its food and beverage services going forward. He will take over the eatery on Feb. 1 and rename it Ron's Comfort Food Café. "We are going to be real strong on breakfast," Allen said, adding that morning menu items will include chicken fried steak, freshly baked biscuits and a lot of menu items that people might remember seeing more frequently in the 1970s, such as kielbasas, all types of omelets, French toast and blueberry pancakes. "I actually got into the restaurant business before microwaves, if that gives you an idea of what experience I have," Allen quipped. "A lot of the stuff that I saw on the menu as a young man getting into the business you just don't see in restaurants anymore, and I think there is a good need for that." He plans to offer daily specials and feature dishes like meatloaf, lasagna, spaghetti, Swedish meatballs over rice and more. "We have a real large menu," he added. In addition, Allen said that people can expect more consistent hours — 8 a.m. to 4 p.m. during the winter and 7 a.m. to 7 p.m. the rest of the year — and possibly a change in prices. "I feel pretty confident that I've priced everything kind of middle of the road," he said. "We're not the highest, we're not the cheapest, but I guarantee the food. If you get in front of me too much, I'll put some pounds on you." Zach Lampert, who has overseen operation of both the Meadow Lakes Golf Course and the Restaurant for the past few years, acknowledges that the eatery has struggled financially for much of its 25-year existence. He stressed that management of the restaurant is not to blame but rather the labor costs associated with a municipality operating it. He explains that providing city insurance, benefits and PERS to all of the employees is very expensive, and privatizing the facility eliminates most of those inflated labor costs. Lampert said that the city has entered into an agreement with Allen to lease out the restaurant facilities. He added the city has not actively pursued in the past, but they have been approached by people interested in such an arrangement. "I felt like we were always waiting for the right fit, and I think we have that with Mr. Allen," he said. "He has worked for us now for about six months, so he understands the facility, has a good understanding of what we do well at the restaurant and some areas we can improve upon." Under the agreement, the city will continue to own the Meadow Lakes property and will be leasing out the restaurant and banquet facilities. "It is still kind of a mutual space we will be sharing," Lampert said. "We will still have tournament results being done in the snack bar and things like that." In addition, the banquet room, which has been home to many recurring meetings and other special events, will remain an option for community organizations. Lampert noted that the Kiwanis and Rotary clubs will continue to meet there and the "What's Brewing?" community forum will keep meeting there as well. "When I mentioned it was the right fit, we were really looking for somebody who would continue on with a lot of the things we were doing," he said.